John Neumann was born in Bohemia on March 28, 1811. He entered the seminary in 1831. Two years later he entered the university in Prague, where he studied theology. His preparations for the priesthood were completed in 1835, but he could not be ordained in his own diocese because a limit had been placed on the number of priests. So he offered to do missionary work in a “mission country,” the United States. Arriving penniless in New York, he was accepted into the diocese and ordained a priest in June of 1836. He was assigned to mission churches near Buffalo, where he labored zealously for four years. Feeling the need for spiritual support, he applied to the Redemptorists. He became the first priest to enter the Congregation in America when he took his vows in Baltimore in January of 1842. From the beginning he was highly regarded for his evident holiness, for his zeal and affability. His knowledge of six languages made him particularly apt for work in the multilingual society of 19th century America. In 1847, he was appointed superior of the Redemptorists in the United States. During his term as superior, the Congregation was passing through a trying period of adjustment from its European background. In 1850, the Redemptorists of the United States became an autonomous province. Father Neumann was named bishop of Philadelphia and consecrated in Baltimore at St. Alphonsus Church in March of 1852. He organized a diocesan education system of parish schools, staffing it with religious sisters and brothers to teach in it. One source of teachers for him came from the Sisters of the Third Order of St. Francis, which he founded. The Cathedral of Saints Peter and Paul was one of 80 churches built during his episcopate. Nicknamed the “Little Bishop” because of his height (he stood roughly five feet four inches), St. John Neumann was never robust in health, but in his short lifetime he kept up with his pastoral duties while publishing numerous articles and authoring two catechisms. On January 5, 1860 he collapsed and died on a Philadelphia street. He is buried in St. Peter the Apostle Church in Philadelphia. He became the first American male to be declared a saint when he was canonized in June of 1977. Clement Hofbauer was born in Moravia (the present Czech Republic) on December 26, 1751. In baptism he was given the name John. He later changed his name to Clement. The death of his father in 1757 reduced the family to such poverty that Clement had little time for schooling. He became a servant in a monastery and learned the trade of baker. He used much of his free time for study with a view to becoming a priest. In 1784, he made a journey to Rome, Italy accompanied by a fellow student, Thaddeus Hübl. The two pilgrims were attracted to the Redemptorists, a newly established religious community. After a shortened novitiate, they were professed in March 1785 and 10 days later they were ordained priests. With Father Hübl, Clement returned to Austria, hoping to establish the Redemptorist Congregation in Vienna. When that proved impossible under Josephist laws, he went to Warsaw, where in 1787 he was given charge of the German church of St. Benno’s. There he inaugurated a vigorous pastoral activity and drew a rapid increase of candidates to join himself and Father Hübl. The church of St. Benno’s became the scene of a “perpetual mission” with each day a busy program of preaching, instruction, confessions, and devotions. There were also orphanages and schools for both boys and girls. This activity continued until 1808, when at the order of Napoleon, St. Benno’s was closed and its community dispersed. With one companion, Clement established himself in Vienna, where he remained until his death. As chaplain to the Ursuline convent and church he exercised an extraordinary influence throughout the city. In particular, he was able to advise and encourage some of the most important personages of the new Romantic Movement as well as others who were working for the Catholic revival in German-speaking lands. His ceaseless activity attracted the attention of the police. From the time he came to Warsaw, he repeatedly attempted to extend the Congregation, especially in South Germany and Switzerland. But he did not live to see this. His prayers were answered only a few weeks after his death when the Redemptorists received permission to begin a community. From this community, the Redemptorists spread throughout northern Europe and into North and South America. St. Clement Hofbauer died in Vienna on March 15, 1820. When Pope Pius VII heard the news, he declared: “Religion in Austria has lost its chief support.” Redemptorists venerate him as a great – indeed their second founder – for spreading their apostolate throughout the world. Feast Day: January 14 Peter Donders was born in Tilburg, Holland, on October 27, 1809, and as a boy he felt called to the priesthood. His family was poor, and his schooling was cut short so that he could learn weaving, which was his father’s trade. At the age of 22, he entered St. Michael-Gestel Seminary. Ordained a priest on June 5, 1841, Donders set out for Paramaribo, Surinam, a Dutch colony. For 14 years he ministered to the city’s 2,000 Catholics, and regularly visited the plantation slaves, the military garrisons, and the indigenous people who lived along the rivers. 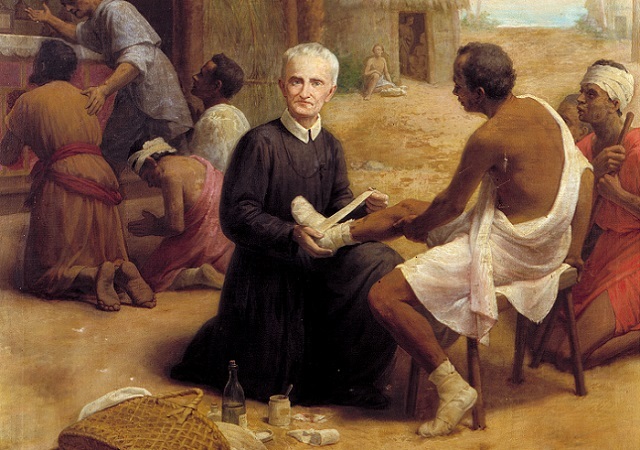 In 1856, he volunteered to minister to people with leprosy at Batavia, where he remained for the next 28 years. 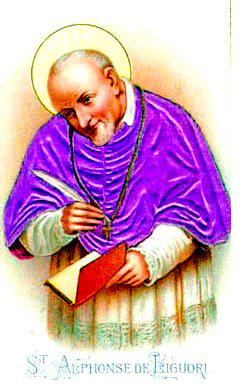 In 1866, he joined the Redemptorists, professing his vows on June 24, 1867. These vows gave him a more vivid sense of the apostolic missionary community, and he left Batavia more often to minister to other pastoral needs. Donders died among his lepers on January 14, 1887. He was mourned as their benefactor and invoked as a saint. Pope John Paul II beatified Donders on May 23, 1982. Blessed Peter Donders is buried in Paramaribo, Surinam. 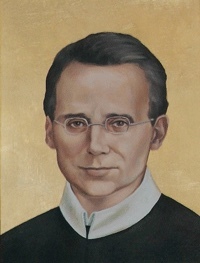 Feast Day: October 5 Francis Xavier Seelos was born in Fussen, Bavaria, on January 11, 1819. He studied philosophy at the University of Munich and began theology as a diocesan seminarian. After visiting the Redemptorists in Altötting, where he heard of their missionary work in North America, he decided to join them. With their approval, he set off for the United States in 1843 where he made his novitiate. He made his profession in Baltimore in May 1844 and was ordained a priest there in December. His first assignment was to St. Philomena’s in Pittsburgh where he served for six years as assistant under the leadership of John Neumann, who was pastor and superior of the community. Father Seelos went on to serve as superior of the community and novice master for three more years. He was appointed pastor of St. Alphonsus in Baltimore, 1854; pastor and prefect of students at Sts. Peter and Paul in Cumberland, MD, 1857; and pastor and prefect of students at St. Mary’s in Annapolis, MD, 1862. Replaced as prefect of students, he preached missions in German and English throughout the Northeast and Midwest. Father Seelos was always an active and highly successful missioner. He was particularly devoted to the confessional, and was revered as an exceptional confessor and spiritual director. After a year as assistant pastor of St. Mary’s in Detroit, MI, in 1866, he was assigned as pastor of Assumption Parish in New Orleans, LA. There he made a great effort to care for the poor, sick, and neglected. While caring for victims of yellow fever, he contracted the disease himself. Only a year after being assigned, he died in New Orleans on October 4, 1867. He was beatified in 2000. The National Shrine of Blessed Francis Xavier Seelos is in New Orleans.